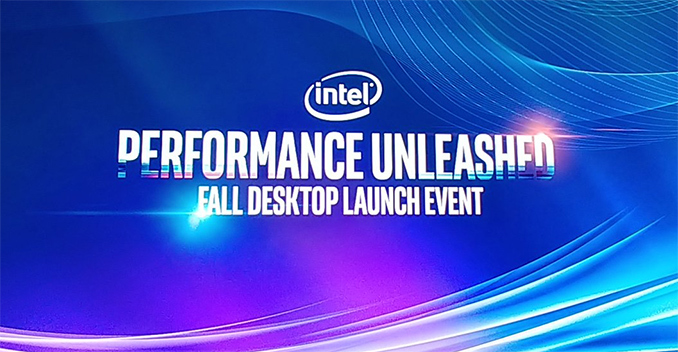 Intel on Monday officially introduced its 28-core processor for extreme workstations that it teased first back in June. The new chip comes with unlocked multiplier and can run at up to 4.3 GHz in burst mode. The Intel Xeon W-3175X CPU is based on the Skylake/Cascade Lake microarchitecture and is compatible with motherboards featuring Intel’s LGA3647 server-based socket. The CPUs runs at 3.1 GHz stock, but can increase its frequency to 4.3 GHz, it features a six-channel DDR4 memory controller that supports up to 512 GB and a massive 38.5 MB cache. Since the chip uses a new socket, it is naturally not compatible with any motherboards available on the market. Meanwhile, to date, only ASUS and GIGABYTE have confirmed plans to offer mainboards for Intel’s Xeon W-3175X. The new 28-core processor has a massive TDP of 265 W and considering the fact that it comes with an unlocked multiplier and can be overclocked, that power draw may get even higher. That said, the Xeon W-3175X will require a very robust cooling system, preferably a liquid-based one. 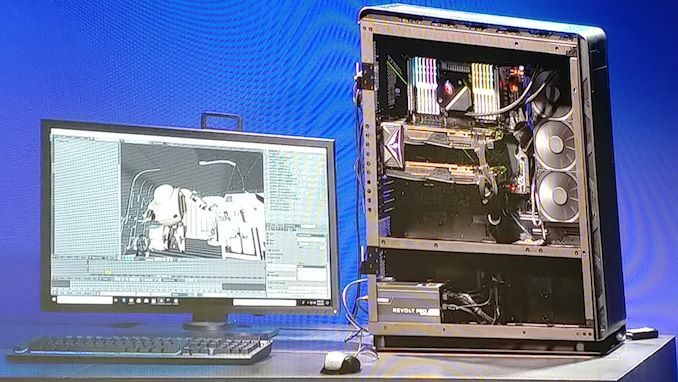 At least, Intel itself demonstrated the chip with a cooler featuring two fans and a 240-mm radiator. Intel aims the Xeon W-3175X primarily at content creators, which is why the platform offers 68 PCIe lanes (44 on the CPU + 24 on the chipset), enough to install more than one graphics card, numerous high-end NVMe SSDs, and whatever special-purpose accelerator is required. The newly unveiled ASUS ROG Dominus Extreme is specifically designed for use with the new Xeon W-3175X processor which is the newly announced 28-core processor, which given official specification are currently unavailable we know is going to require a large amount of power draw. To compliment this the ROG Dominus Extreme features not just one, but two 24-pin ATX power connectors along with four 8-pin and two 6-pin 12 V ATX power connectors to provide enough power. The ROG Dominus Extreme is based on the EEB ATX form factor and has a total of twelve DDR4 slots which should support for up to a maximum of 192 GB of system memory. On the bottom half of the board there’s a total of four full-length PCIe 3.0 lanes which should support four-way SLI and CrossFire for one of the most Goliathan gaming systems going; bearing in mind that this platform is designed primarily for professional workstation users, the ROG branding indicates otherwise. 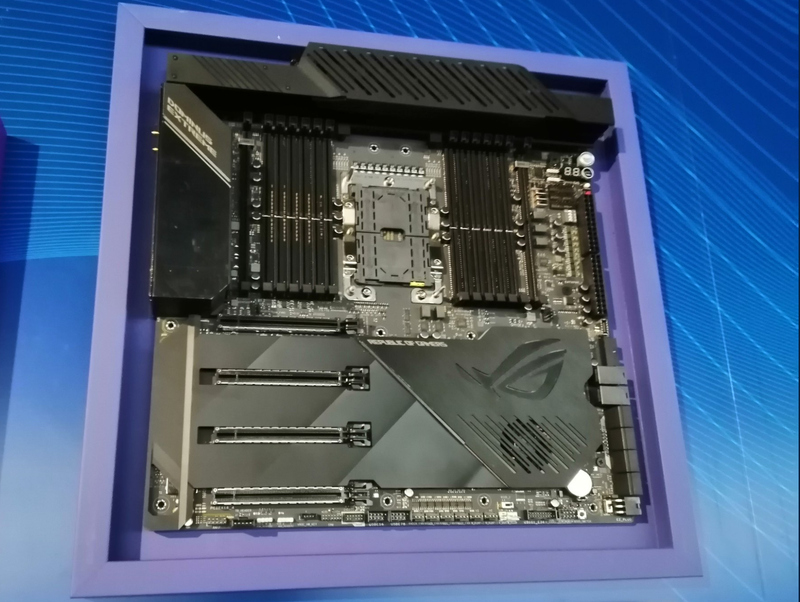 The PCB is covered by a wave of armor which looks clean and featured on this is a large ROG logo. Underneath this looks to be a chipset cooling fan which it’s likely will run warm due to the nature of this particular board. In the top right-hand corner is a set of buttons which look to include a power, reset and potentially a clear CMOS switch. Also featured is an LED debug and to the left of the ROG DIMM.2 slot for M.2 PCIe 3.0 x4 SSDs is a quadruplet of dip switches; these are most likely to enable or disable the individual PCIe 3.0 x16 slots. This is a breaking news. We update the story as we get more information. I'm going out on a limb and predict that this can't touch the Threadripper 2990wx in terms of performance/price ratio. The question is, will it beat the 2990wx in terms of raw speed, and if yes, how much more will it cost? This 28-core is more niche than even the super-niche 32-core AMD proc. It might be a really great chip for code compiling. It has enough cores to handle a lot of files at once for the compile phase itself, plus a high turbo for linking, etc., that bottlenecks down to one or a few cores. Maybe performance/price ratio (which is not that important for rich people). 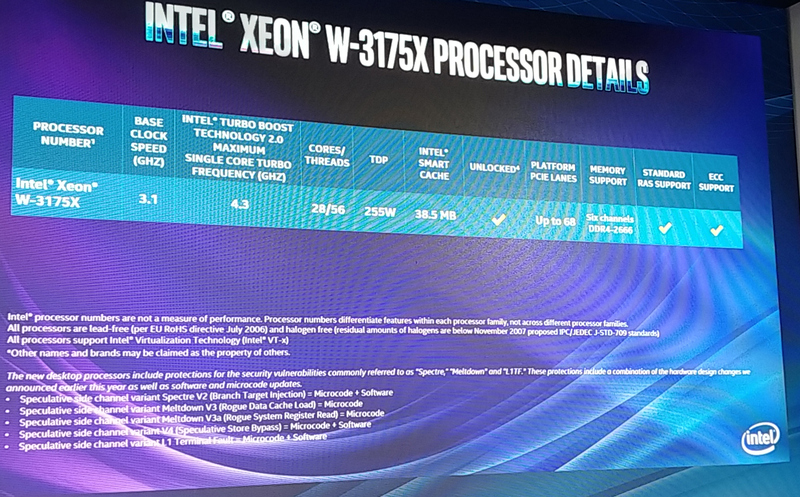 But performance wise, W3175X should completely destroy 2990wx in every dimension. "W3175X should completely destroy 2990wx in every dimension"
If someone buys this for gaming, then yes I'd agree - it's a completely unnecessary toy. It will be fun to look at all the cores/threads in Task Manager, and get high multi-core benchmark scores, and that's about it. This is primarily aimed at people who are going to use it for work however. The reason why I'm on here writing messages on AnandTech during work hours, and reading articles about potentially faster CPUs, is because I'm currently waiting on my workstation to finish what it's doing. I made a change to a fairly frequently included header file in a large C++ project, and as a result a large portion of the code has to be recompiled, which will take about 15 minutes using nearly 100% CPU for the majority of that time.